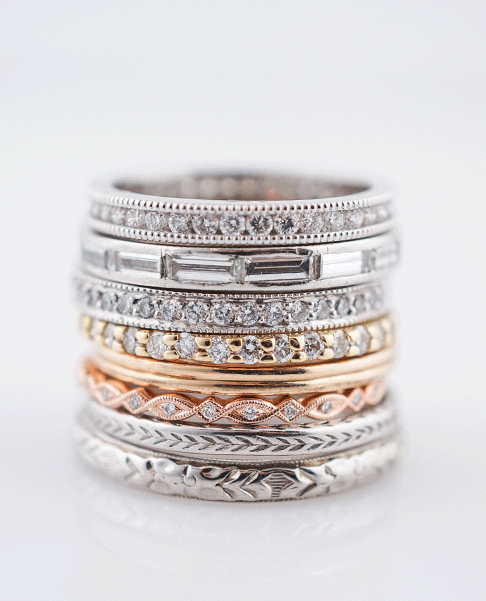 This modern wedding band band features thirty (30) round brilliant diamonds bead set into a white gold band. 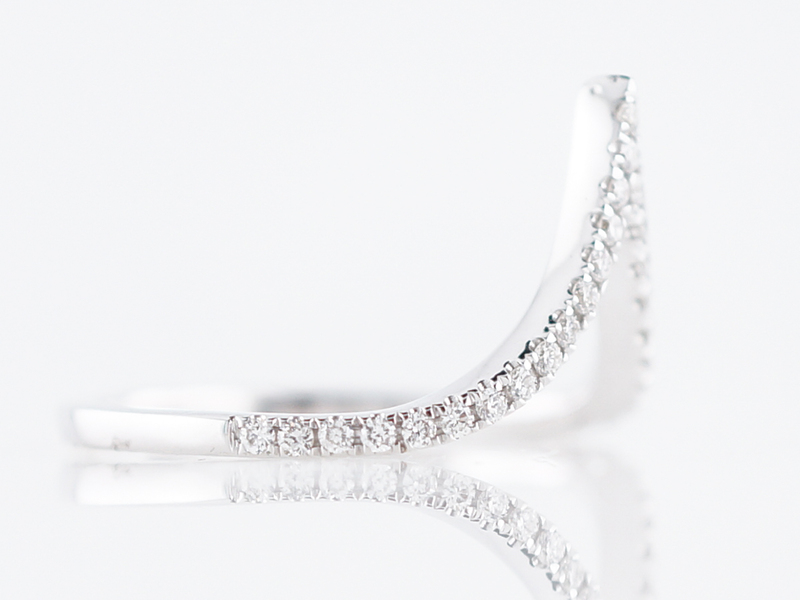 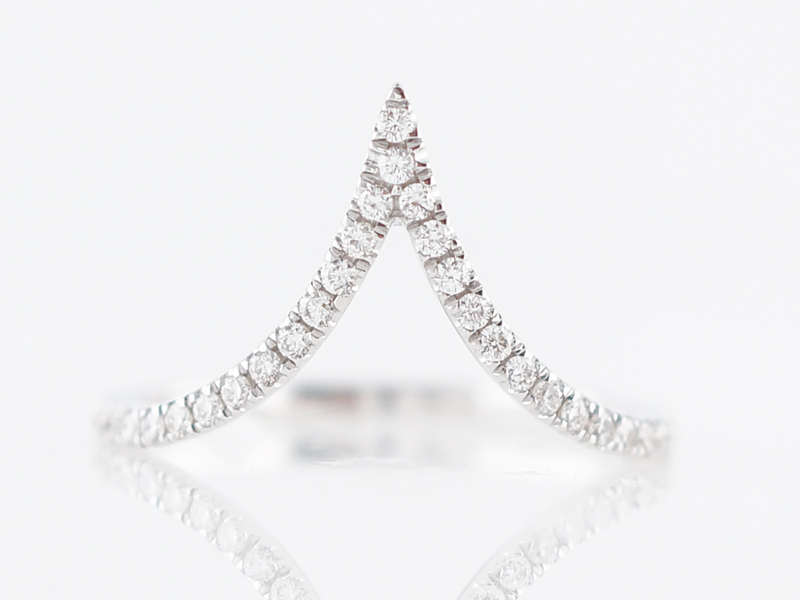 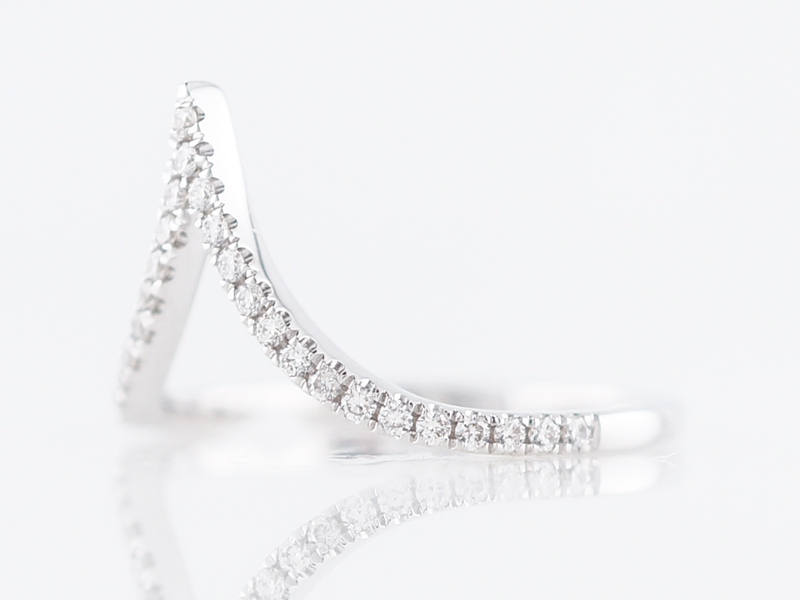 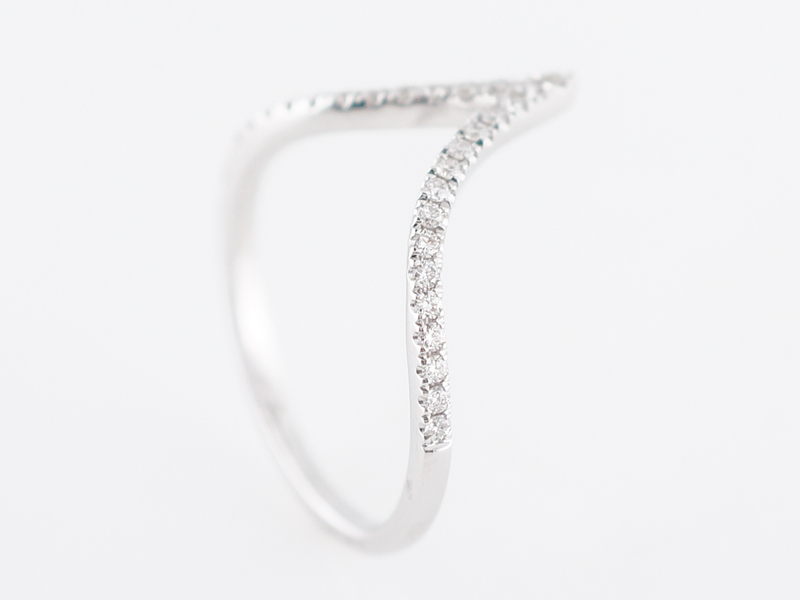 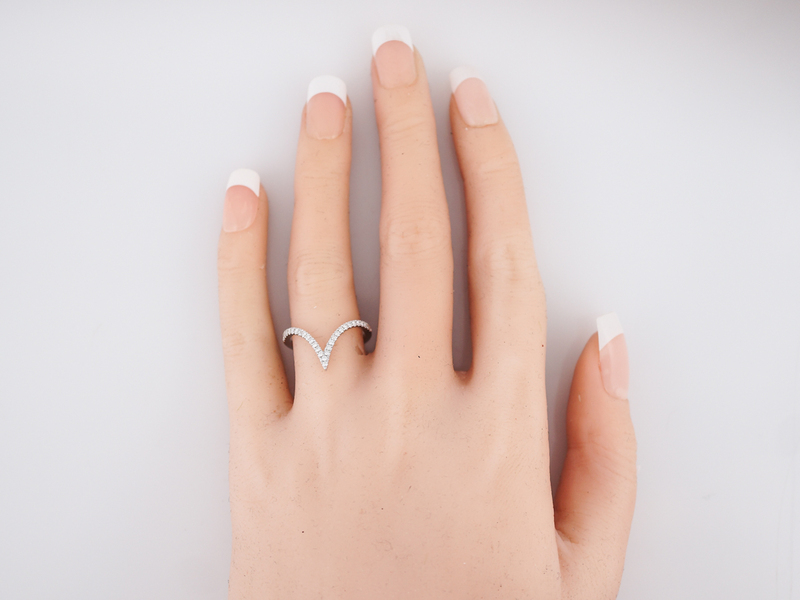 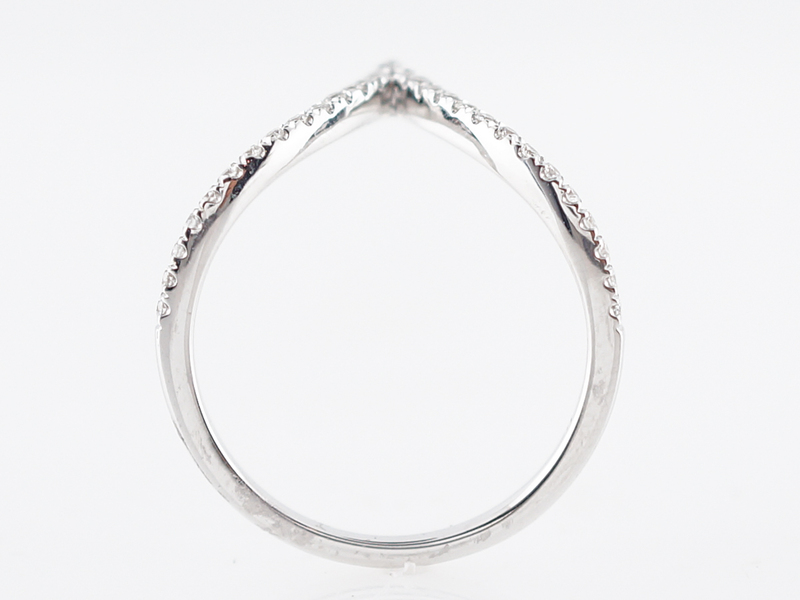 The band also features a dramatic curvature allowing the band to sit flush to most engagement rings. 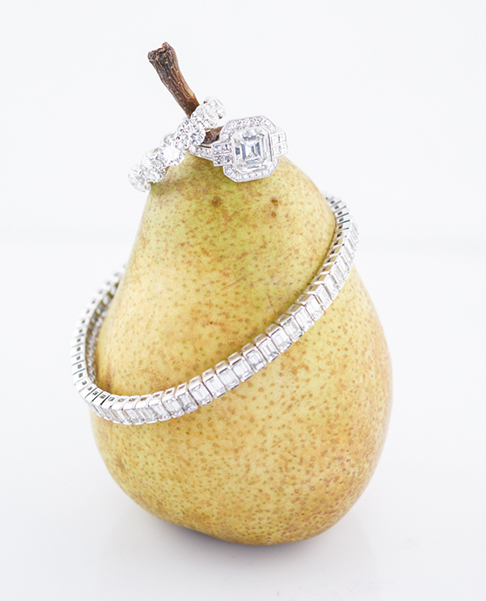 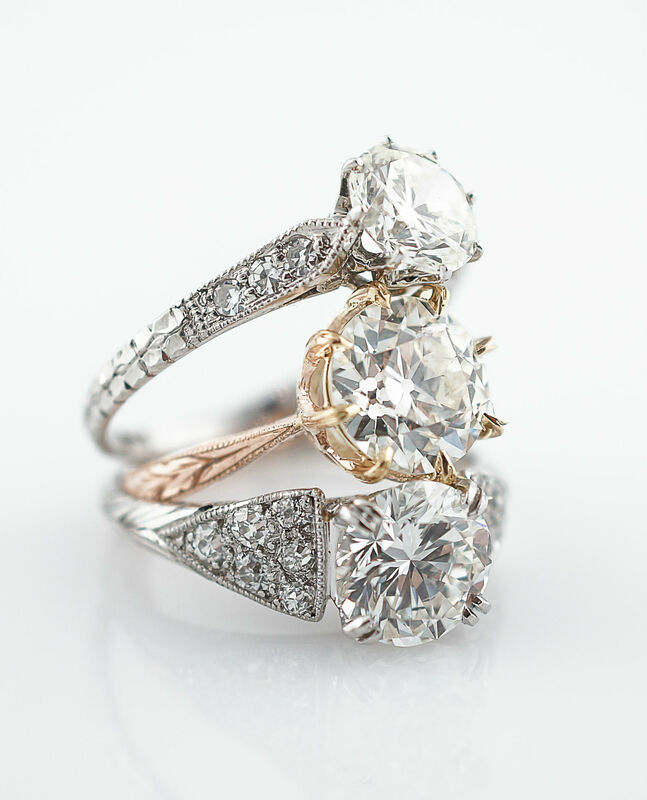 A lovely pairing for a wider engagement ring!